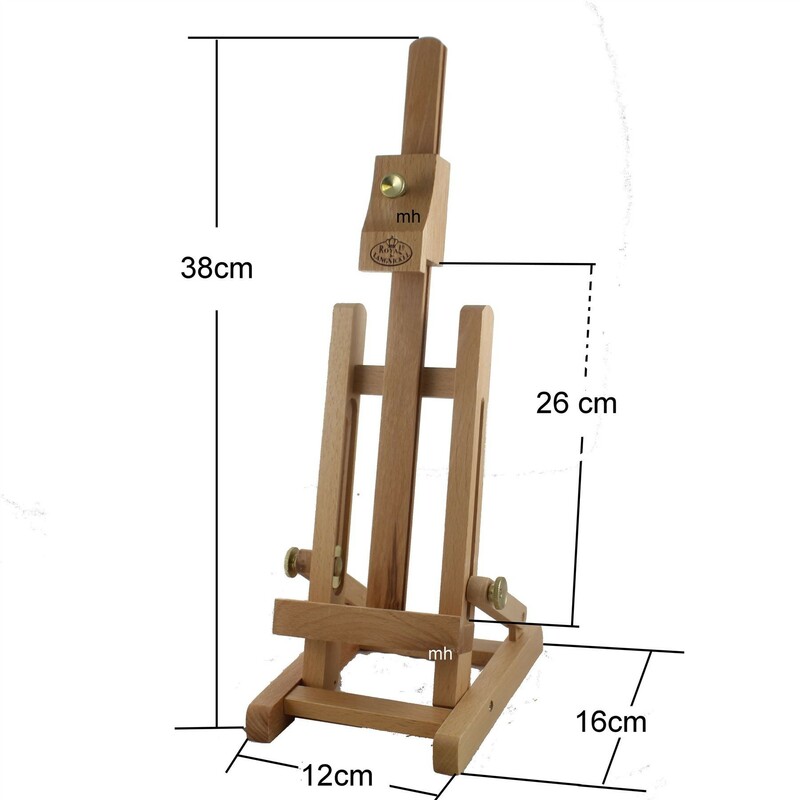 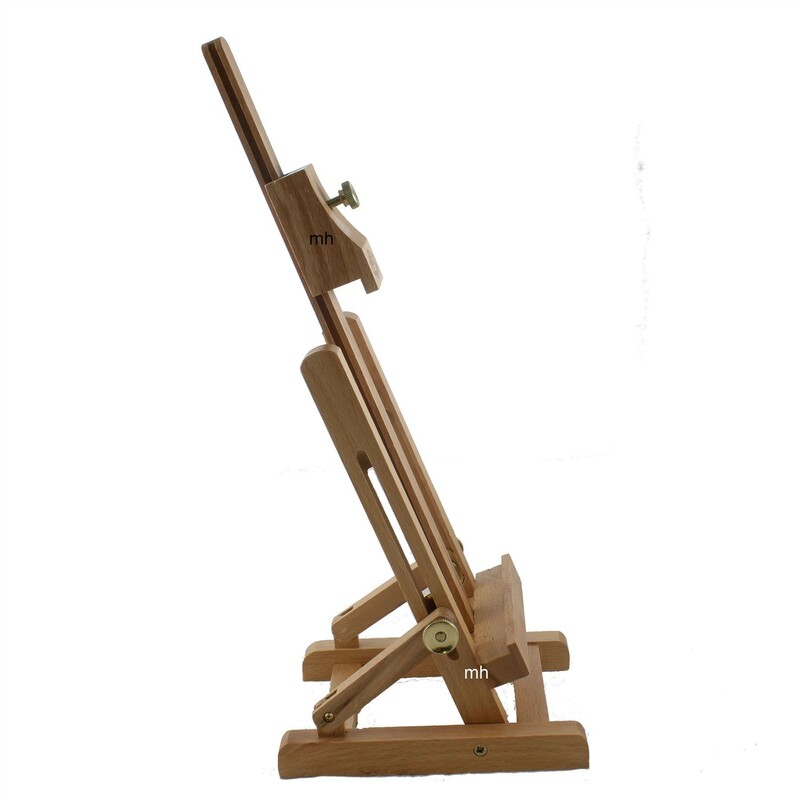 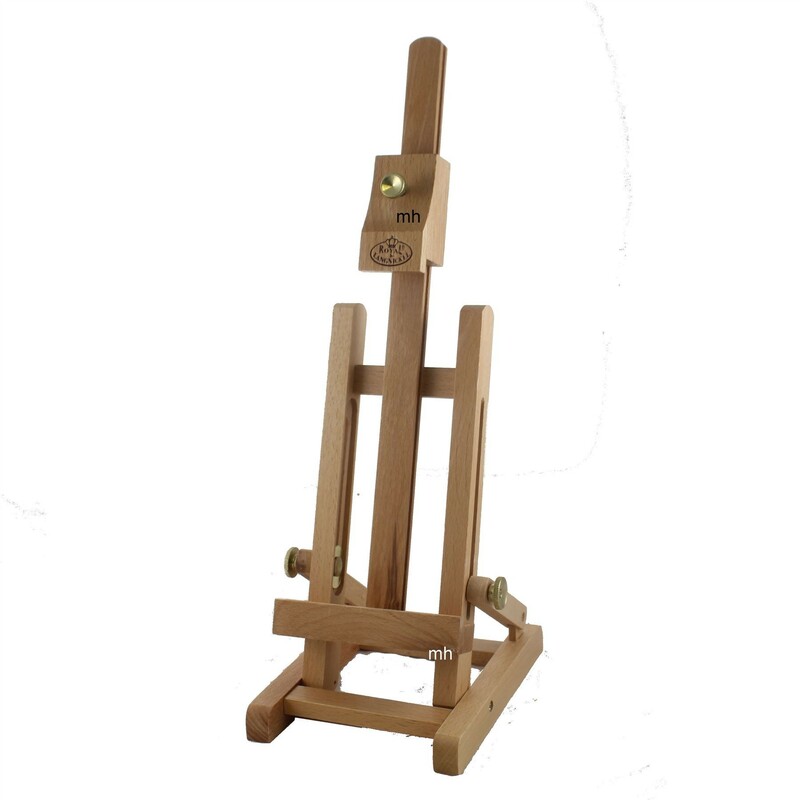 Royal & Langnickel Naples wooden display easel. 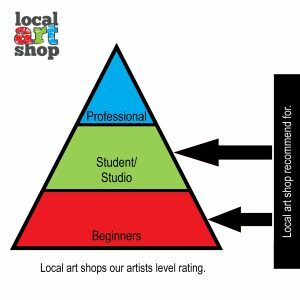 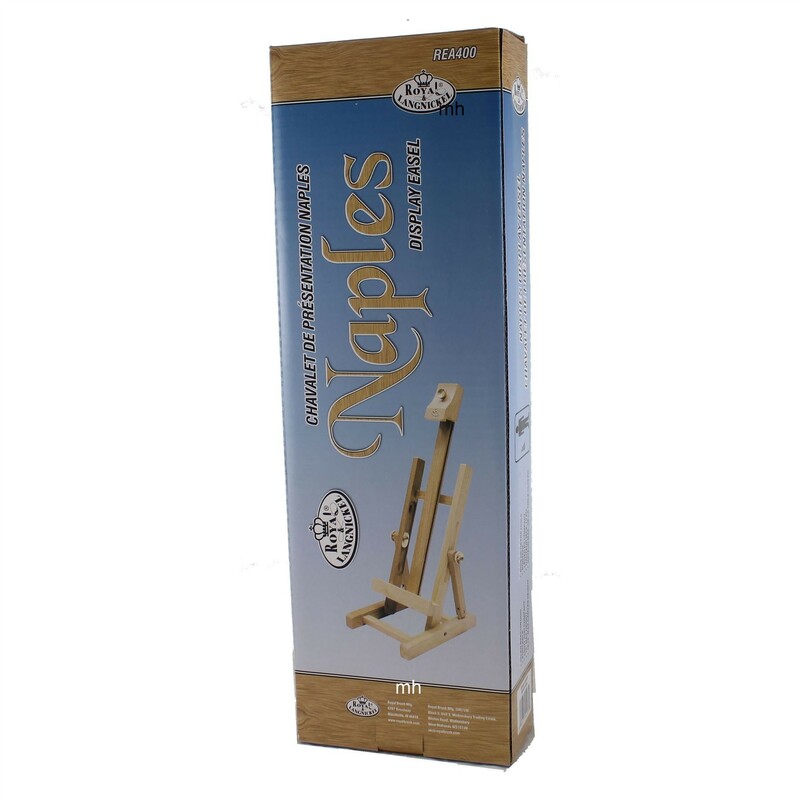 The Naples table display easel is approximately 15 inches (39 cm) top to bottom, by 5 inches (12 cm) wide, 6 1/4 inches (16 cm) deep. 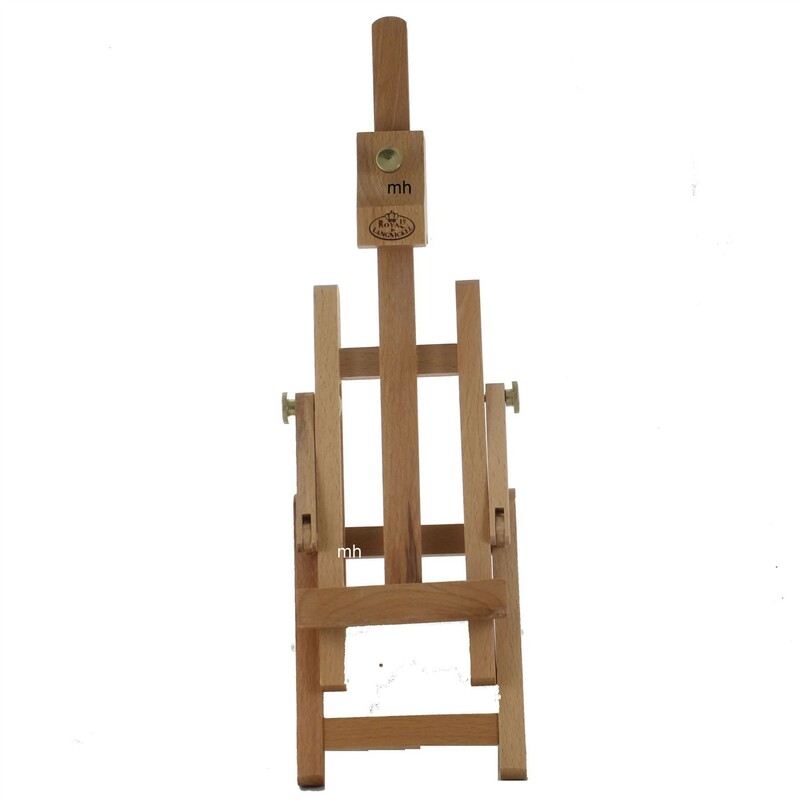 Maximum canvas is approximately 10 inches( 26 cm ) The canvas rests 10 1/4 inches with a lip at 18 mm. 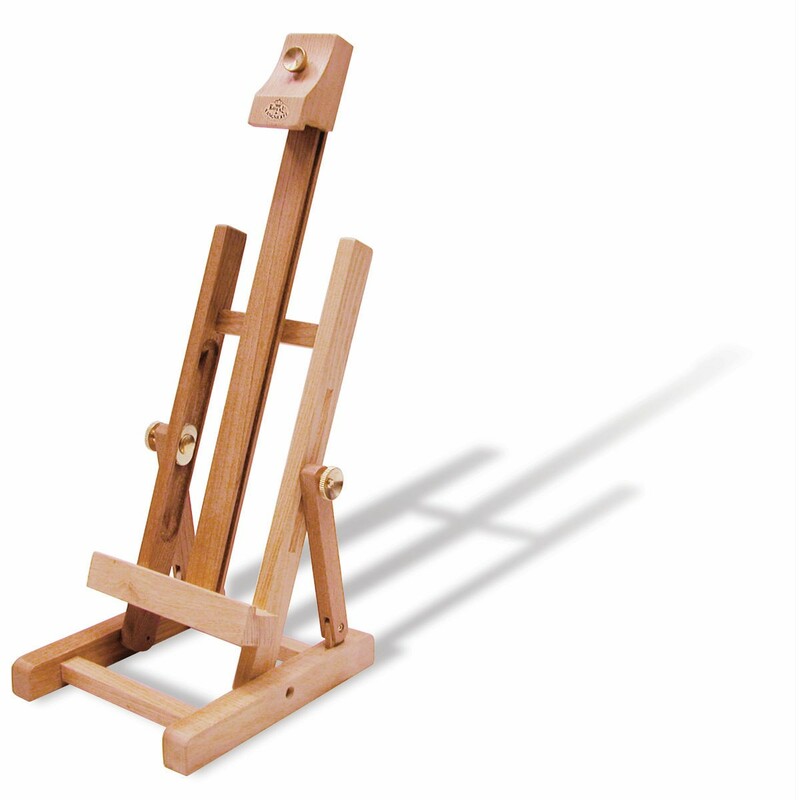 These are ideal for displaying photographs, artwork, small wedding plans, shop notices etc. 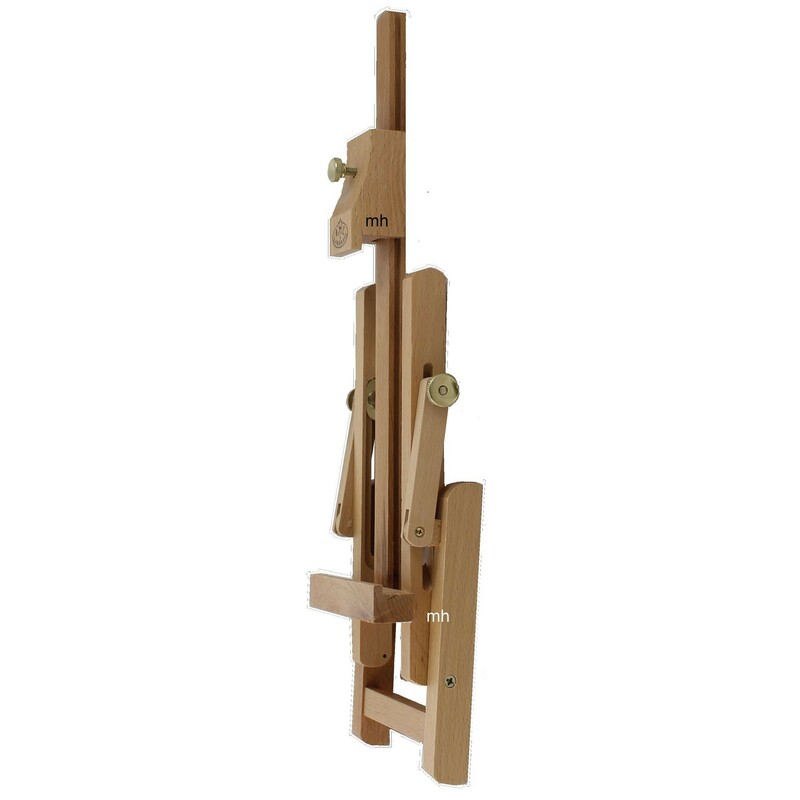 They made from oiled Beechwood, lightweight and compact - a perfect gift.